Recently a paper published by the Lancet journal reported on the outcome of prostate cancer surgery. 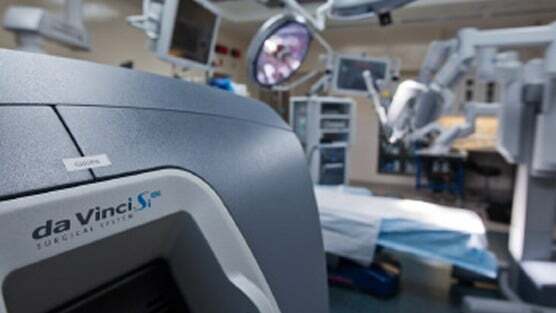 The study was designed to compare the results of open versus robotic prostate surgery. The study compared the results of 131 robotic and 121 open prostatectomies at 12 weeks after surgery. The study was run in Australia at a single institution which hosts the only robotic facility in the country. At 12 weeks following surgery the researchers could not show any difference in urinary and sexual function between the two types of surgeries. This is an expected finding as the recovery timeline for both types of surgeries are the same. However, as presented in the published study, patients who underwent robotic surgery experienced lower pain, lower complications and spent lesser number of days at the hospital. There were lower complications in robotic surgery and transfusion rates were lower as well. In this study, patients with robotic surgery had higher rate of lymph node involvement. Although the stage of the disease for both groups of study were the same, higher positive rates in lymph node involvement might show the more aggressive nature of tumors in patients undergoing robotic surgery compared to open surgery. Sexual function after prostate surgery depends on nerve sparing, technique of surgery and surgeon experience. These modulating factors are well known in the current literature. The recent study had not reported on the nerve sparing status of the patients in each group. Return of sexual function after prostate surgery may take as long as 3 years after surgery. As potency rate is usually reported 12 months after surgery, it is too soon to expect the return of sexual function in patients in either surgery group.